Home → Verticals → Banking → Banks get Empathetic! 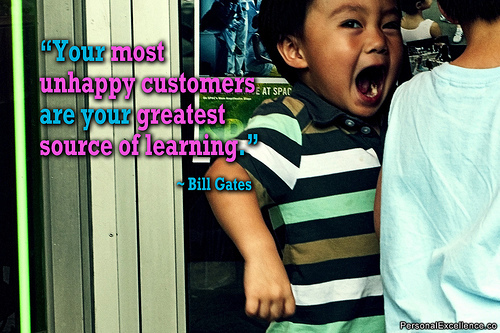 When it comes to creating great customer experiences, the goal is to create happy customers. That is the bottom line. Sometimes it means that a business needs to empathize with its customers. It means helping customers spend less effort and get better results. Businesses can do this by providing and supporting their customers’ preferred contact channel choice and responding via the same channel as well. Or it can be when you make all forms of communication easy to understand. Your touchpoints easy to use. The good news is that technology can go a long way to help make this happen. Different businesses do different things to create great customer experiences – they keep things simple and easy, doing away with long-winded forms and lengthy procedures. Issues are resolved quickly. They find new and interesting ways to delight their customers. Some businesses display true empathy. Take for example, the British bank Standard Chartered. Some years ago, they launched a handful of ATMs that were what they called “blind-friendly”. There weren’t too many of them. But it was a start. Recently, after working on it for about two years, Singapore’s national bank has rolled out talking automated teller machines (ATMs) for the blind – DBS has recently announced it was voice enabling 86 of its 1,000-plus ATMs across the island. This is great for those with visual impairment and for elderly people with failing eyesight. This is a great example of how technology can revolutionize a business and the way people do business. We live in an age where the customer dictates what he wants. And is rather impatient when his needs or expectations are not met. We know that banks offer almost identical services, with hardly any difference in pricing. So what will make the cut are services that their customers deem worthy. Relationships that customers feel they need to be loyal to. And when Banks are proactive about being inclusive to all kinds of customers, it creates great customer experiences that will take them a long way in increasing loyalty and brand value among its customers. In this case, the visually impaired.